In channel you are able to make a post an Announcement post. This means that all Channel members will need to confirm that they have read the post. The post will be pinned to the top of the Channel feed and My Stream till the user has confirmed they have read the post. 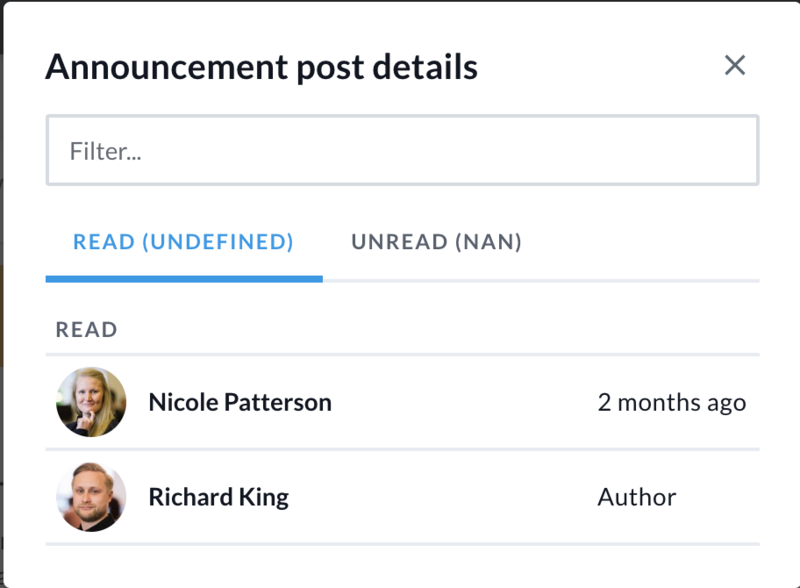 Using Announcement posts will help you get the most important messages through via Happeo. When you need to get your message through and to be able to follow how many people have read it and send reminders to those who have not seen it. When you share as an announcement the post will be pinned automatically for every user and unpinned when user marks it as read. The user can also mark the post "unread" after reading by clicking the check mark. The creator of the announcement post can see who has and who has not read the post and send an email or Happeo reminder to the people who have not read it. Note any normal post or Article post can be turned into an Announcement post or any Announcement post can be changed into a normal post. You are able to see who has read the post and who hasn't. 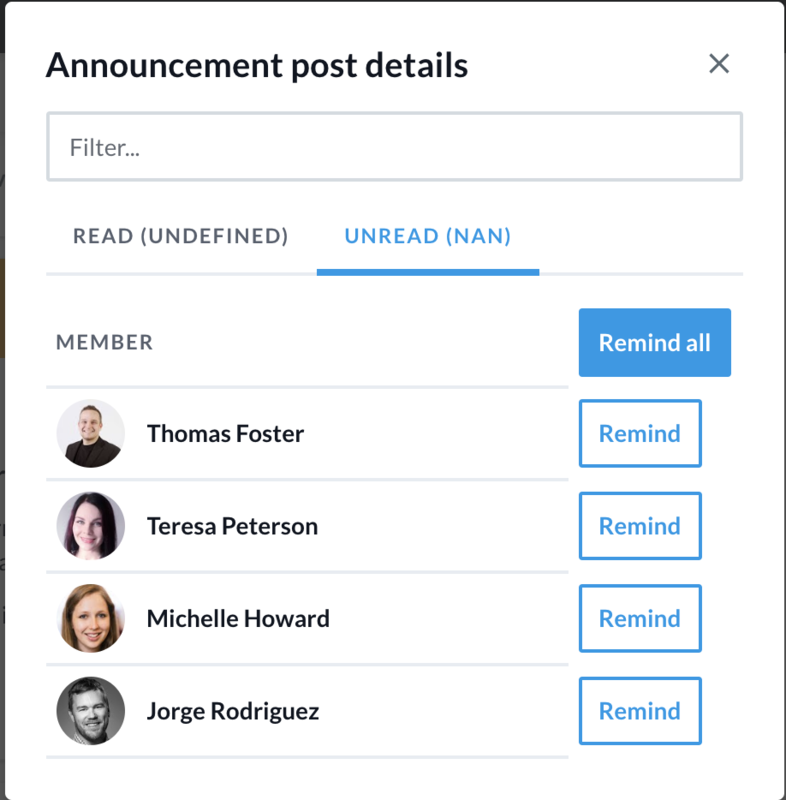 You can also send reminders to users that have not read the post.